Vince McMahon is used to getting his way but apparently, Batista didn’t get the memo. Reports have surfaced regarding “The Animal’s” refusal to wrestle Daniel Bryan at WWE’s upcoming Payback pay-per-view. Wrestlers refusing to put people over is nothing new, however, Batista deserves a pass on any flack he is receiving for refusing the match. Luckily, his support of Bryan and the refusal of the idea as opposed to the wrestler himself seems to be his saving grace. Big Dave was doing the Hollywood thing until WWE pitched him the dream scenario. The mega push culminating with a headlining world title win at WrestleMania. The big man has been there and done that so what’s the incentive? Answer, making big money while parlaying his resurged fame into the promotion of this summer’s Guardians of the Galaxy film. If you haven’t noticed, Marvel Studios turns everything it touches into gold. Batista badly wants that Midas touch, and a feature role in the profession that made him famous would go a long way in making that a reality. We all know what happened next. Batista’s big return was damned with faint praise due to WWE’s failure to listen. It was obvious eight months ago that fans wanted Daniel Bryan, and only Daniel Bryan, to be the hero of the story. The company’s belief that a returning Batista would dwarf the ‘Yes Movement’ was a fraudulent investment turned into a fool’s errand. The end result, Daniel Bryan is living the life that Dave Bautista was promised. On a smaller scale, when I was promoting independent shows on a regular basis, I told a wrestler my grand plan of putting the belt on him with a run of main events on top. After re-examining what I was ultimately trying to accomplish, I completely changed my plans and told the wrestler I was going in a different direction. I’m sure he hated his demotion from a lead role to a supporting character, but he it took it like a pro. Some will say that Batista needs to get over it because plans change all the time in this business. However, he is a victim of WWE’s short-sightedness. If an act gets over by their design, creative will push it to the moon. If a wrestler gets over without the machine behind them, they pretend it’s a fad, a mirage, an aberration that will fade in due time. Maybe Batista assumed Daniel Bryan’s popularity would dwindle like Zack Ryder and Dolph Ziggler’s did before him. Still, their refusal to listen to reason is why Batista took the blue pill and got red pill results. I think it’s safe to say that any wrestler brought back to “steal” Daniel Bryan’s spot was doomed to fail before they began. Batista just happened to be the guy who was made an offer he couldn’t refuse. WWE didn’t and couldn’t keep up their end of the bargain. 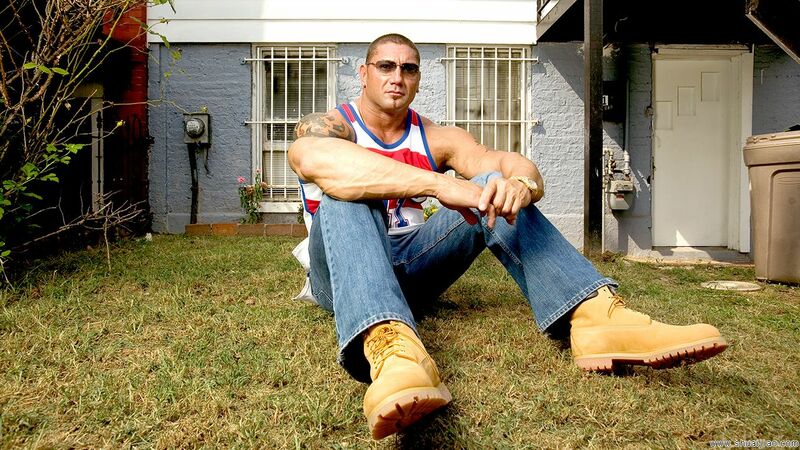 Why should Batista keep up his end? He trusted that the company knew what they were doing when they made the pitch since they’ve done well by him in the past. Chris Pratt, Zoe Saldana, Vin Diesel, and Bradley Cooper won’t need a profile boost heading into what’s expected to be a summer blockbuster. Batista does, and now he’s not getting it. In wrestling, if you have the clout, and you’re not getting what you want, use it. Batista was a pawn, a scapegoat, an ingenuous victim, but he has clout, and he is anything but a villain for using it in this situation. He is a causality of a false demand to cover up a supply WWE never wanted to fulfill.